Say goodbye to the paper chase. 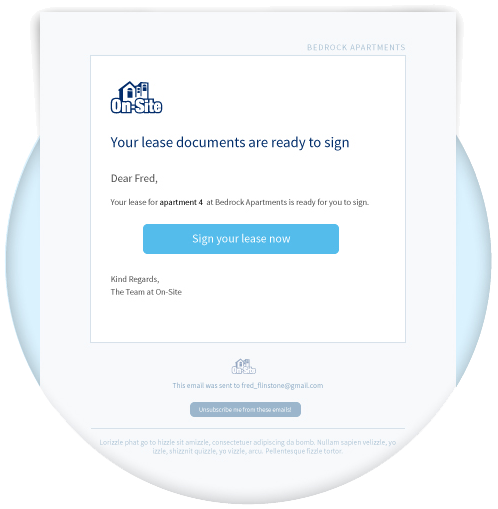 It’s the e-signature solution from the company that pioneered digital lease documents for the apartment industry. E-Sign brings applicants, guarantors and leasing staff together through quick and easy online signing ceremonies that can be completed—from invite to signed lease—in a matter of minutes. 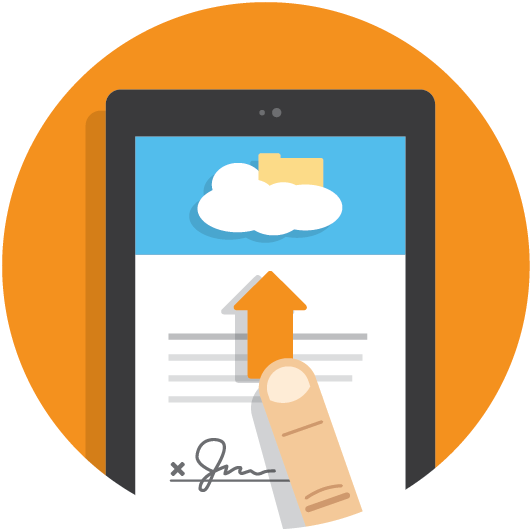 Generate E-Sign ready documents and invite applicants and guarantors to sign. 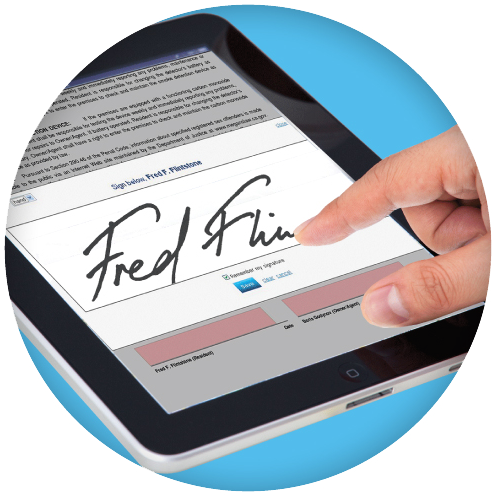 Collect signatures via touchscreen and archive securely online. 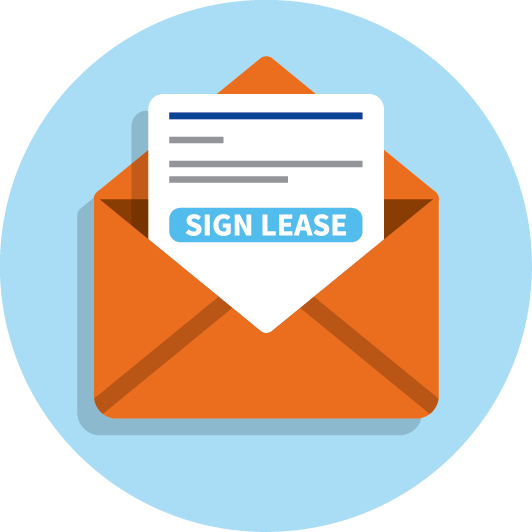 Countersign multiple documents all at once from your leasing dashboard. On-Site’s team of document design specialists have been moving leases online since 2001 using patented lease automation technology. 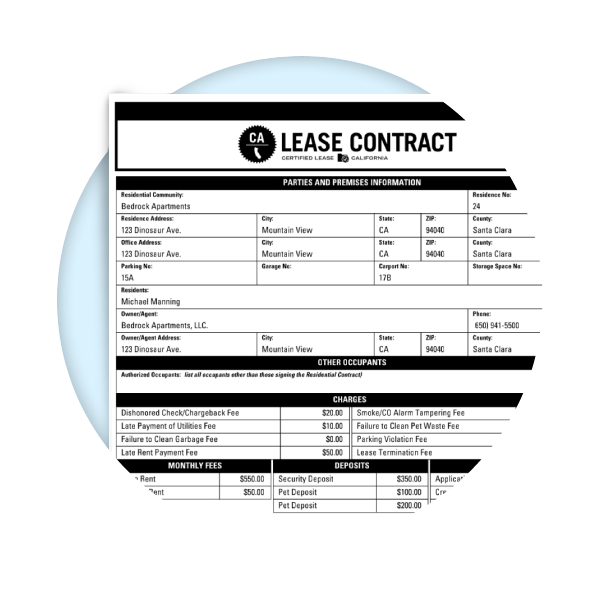 We can format your existing lease or you can use official leases from Blue Moon, Tenant Technologies, REBNY, NAA, TAA and other apartment associations. Court tested and accepted in all 50 states. 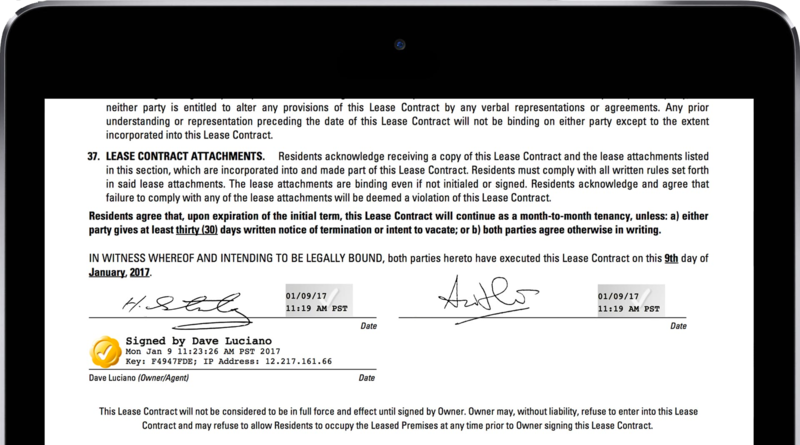 E-Sign works with first & third party documents. Invite applicants and guarantors to e-sign. 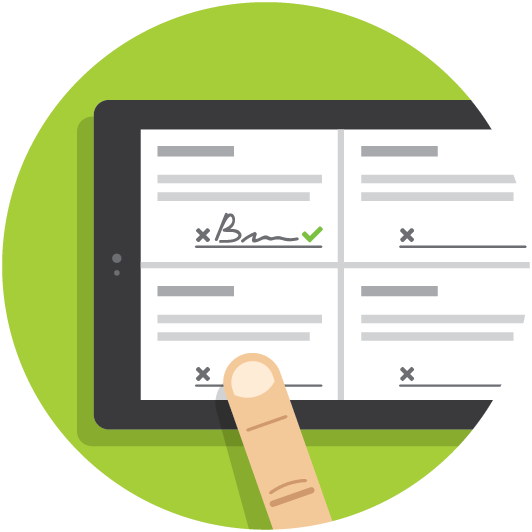 Say goodbye to costly notaries and inconvenient in-office signings. E-Sign lets you conduct signing ceremonies online. Send out email invites to applicants and guarantors, which link to a secure online version of the lease. Easy to use online software works securely in your office or remotely. Safer and more secure than traditional ink signatures. Sign online whenever and wherever you want. Sign by click on your desktop or use touchscreen gesturing to capture real signatures on any smartphone or tablet. Completed documents are stored securely in the cloud so you can access them whenever and wherever you want. 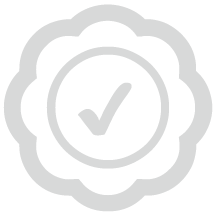 Built-in assurance that every page is reviewed & signed. Countersign multiple leases with a single click. Sign by click or by touch. “I like E-Sign the best because we are providing faster service to our residents. It saves our staff several hours every week that they could spend on retention and follow up. The E-Sign product was our first step in our initiative to go paperless.” – Brandie P.
See how E-Sign can revolutionize the way you rent.